Public tours are scheduled May 10 through December 1, 2019 at 2:00pm on Fridays and Saturdays, and at 1:00pm and 3:00pm on Sundays. Cranbrook Center for Collections and Research offers limited private tours off-season, November through April. Please contact the Center at 248.645.3307 for details. 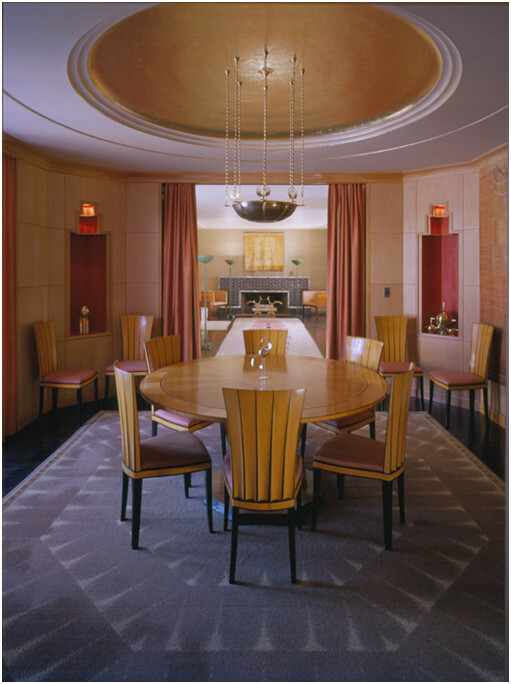 Staff-guided public tours of Saarinen House depart from the front desk of Cranbrook Art Museum, to purchase tickets please contact the Center at 248.645.3307. Reservations are strongly encouraged to ensure tour availability. Please call 248.645.3307 or email center@cranbrook.edu to make a reservation. 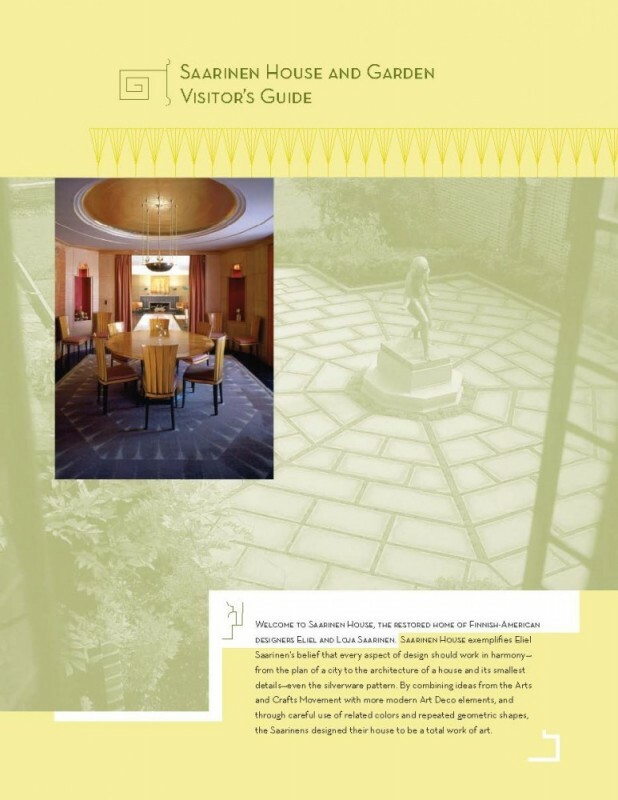 All tours of Saarinen House depart from the front desk of Cranbrook Art Museum. Tours are limited to 12 guests. The tours are approximately 75 minutes in length and include stairs and two ten-minute walks on Cranbrook’s campus. Tours take place rain or shine. To protect the carpeting and flooring in Saarinen House, you will be asked to remove your shoes and wear booties that will be provided. Only small wallets and handheld cameras are permitted on the tours. Please leave all backpacks, purses, camera bags, camera equipment and other cumbersome items in vehicles. 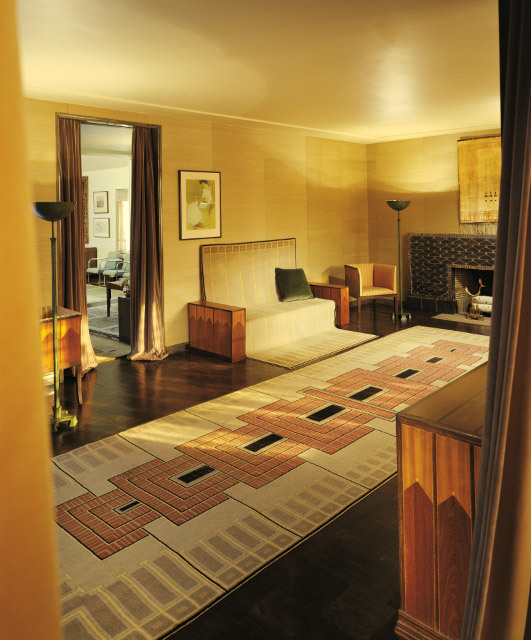 This policy was created for the security and protection of Saarinen House and its collection of fine and decorative art. There are no public restroom facilities at the house itself; please use the facilities at Cranbrook Art Museum before beginning your tour. 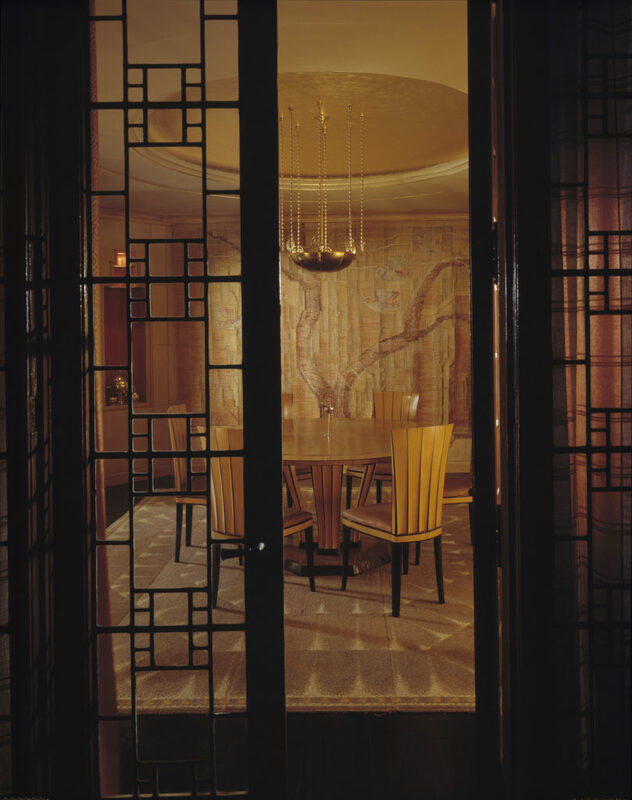 A limited number of Private Tours of Saarinen House are available May through October, with at least three weeks advance notice.